Universal Tailgate Seal Kit: Perfect for all makes and models of pickup trucks. 10' Of Seal: Enough tailgate seal in each kit to seal any pickup truck tailgate. Each kit includes seal, cleaning pads and instructions: Everything you need to install on your pickup truck. This universal tailgate seal also called a tailgate gasket kit is very easy to install by just cutting to length, peel the protective tape off and stick to install. 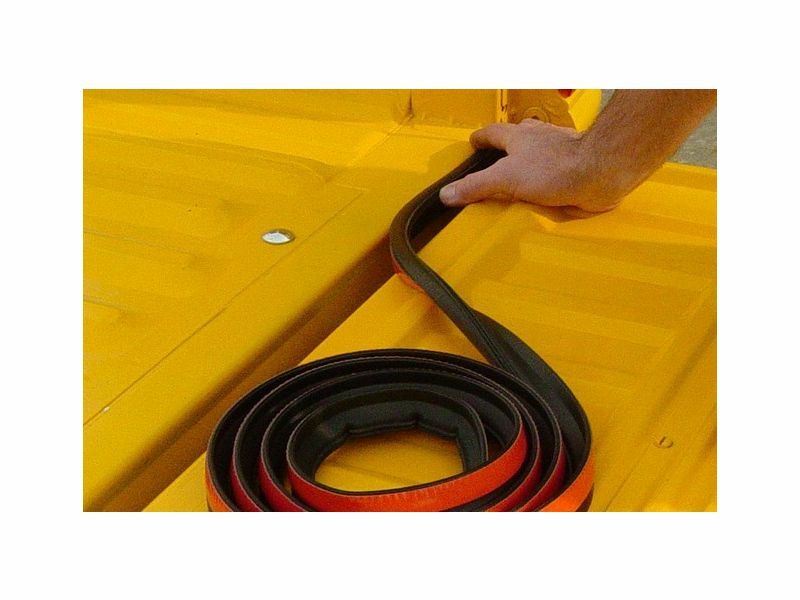 These rubber tailgate seals are adhesive-backed EPDM automotive grade rubber and is designed to seal the tailgate area of pickup trucks to reduce dust, rain, and snow leakage by providing a tight tailgate seal. Great for pickups with toppers, lids and tonneau bed covers. Easy to follow instructions are included as well as an alcohol pad for prep. Total length is 10 feet to ensure you don't run short on seal material. Tonnopro offers a lifetime warranty for the RealTruck tailgate seal. Easy cut, peel and stick installation. For additional information, please call 1-877-216-5446 or 701-253-5906.